Palaentologist Sergio Azevedo could have dug out the fossil he found by hand, painstakingly chiseling away rock bit by bit, hoping he didn’t accidentally shatter a dinosaur tooth with one misstep. Instead, he 3d printed the bones. He used a portable CT scanner to find the size of the fossil still in the ground, and cut a block around it. They moved the entire block to their lab at the National Museum of Brazil, where they used a high resolution scanner to 3d scan the interior. A bit of cleanup later, and they had a model they 3d printed in resin. 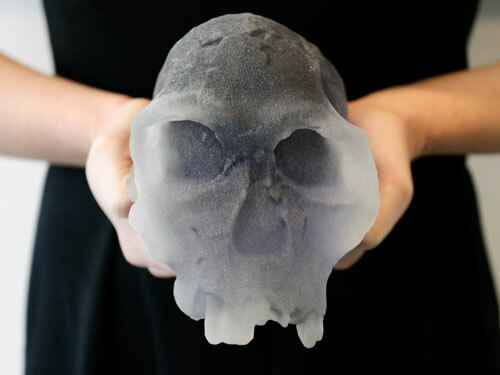 3d printing technology will allow classrooms to be able to have accurate models of fossils. Museums can 3d print replicas of artifacts that visitors could then touch and handle, making exhibits more interactive. And laser scanners are now used to record surface data of fossils before excavation, because they provide more data than photos alone.